The department of Homeland Security (DHS) – United States Coast Guard has announced that it may award up to $5.3M for cooperative agreements in support of the National Recreational Boating Safety Program. Application Deadline is 30 January 2019 at 11:59:59 PM EST. 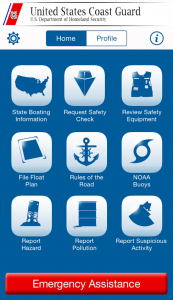 The purpose of the National Recreational Boating Safety Program is to reduce the number of accidents, injuries and deaths on America’s waterways and provide a safe enjoyable experience for the boating public. The program also encourages greater non-profit organizations participation and uniformity in boating safety efforts. See the Nonprofit Organizations Grant page for more information.